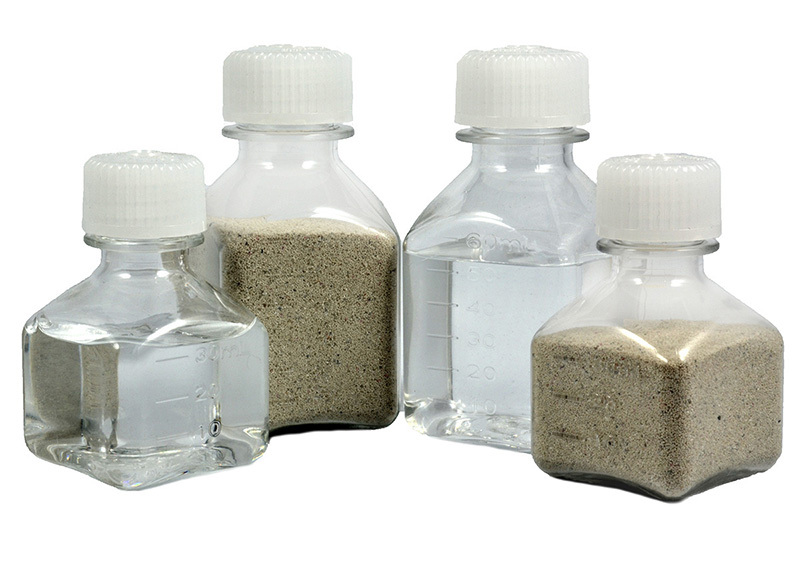 Suspending a sensor probe in a bottle filled with a thermal buffer, such as glycol, will provide more accurate readings of temperatures by averaging out rapid temperature fluctuations from intermittent air currents. Fastens to any Thermometer 5 to 9mm OD. 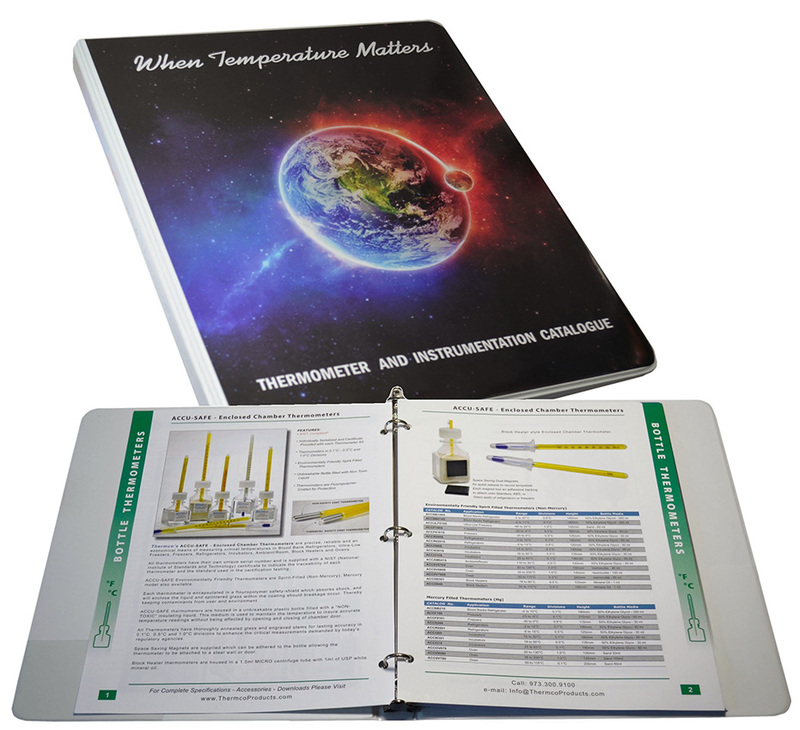 Holds Thermometers,Test Tubes, Electrodes, etc. 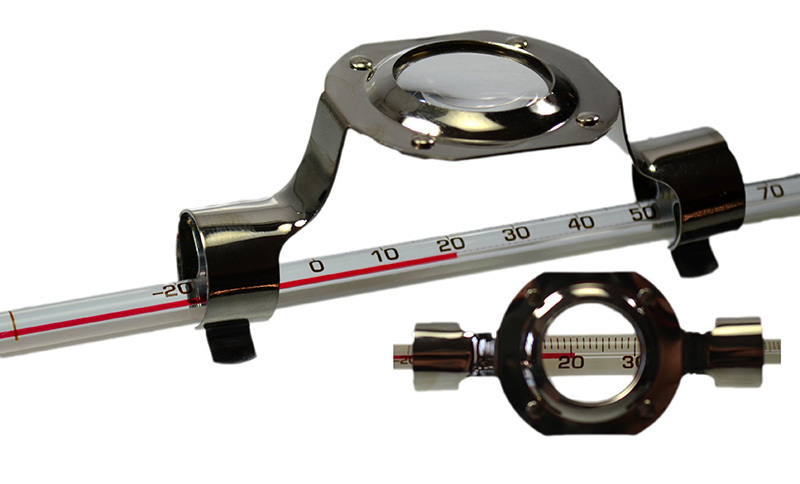 Fits Thermometers 5 to 11mm O.D. 9 Place Case holds 5 to 11mm O.D. 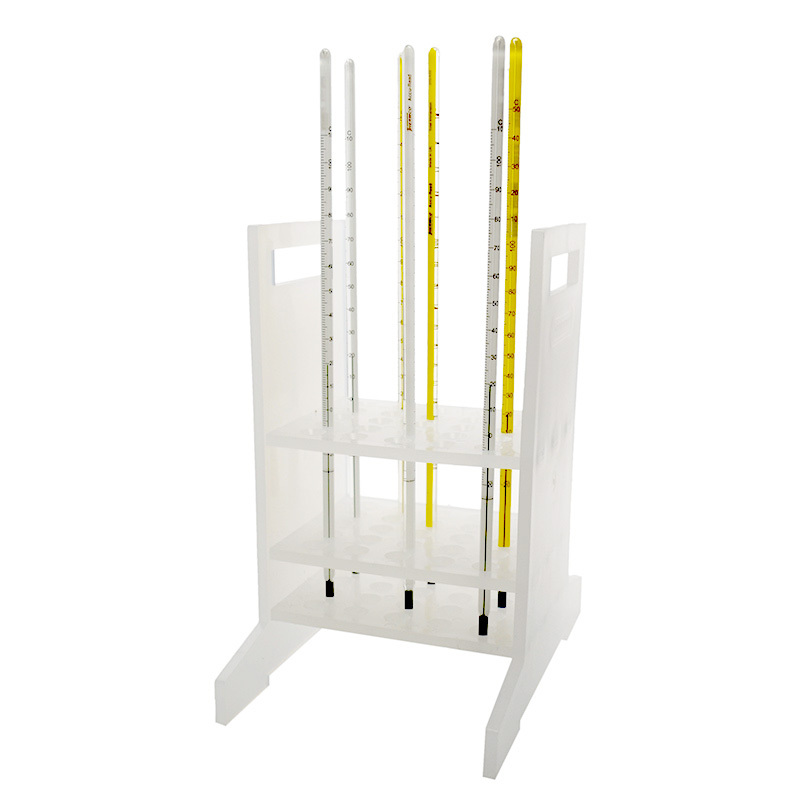 Safely Holds Up to 25 Thermometers This polypropylene rack holds up to 25 thermometers in a safe vertical position to avoid damage while drying. Hole diameters in the top and middle plates are 7.9mm (5/16”) while the bottom plate has only. 3.2mm (1/8”) diameter drain holes. The distance between top and bottom plates is 105mm (4⅛”). Overall dimensions are: 149 x 213 x 251 mm (5⅞” x 8⅜” x 9⅞”) Steam autoclavable at 121°C (250°F). 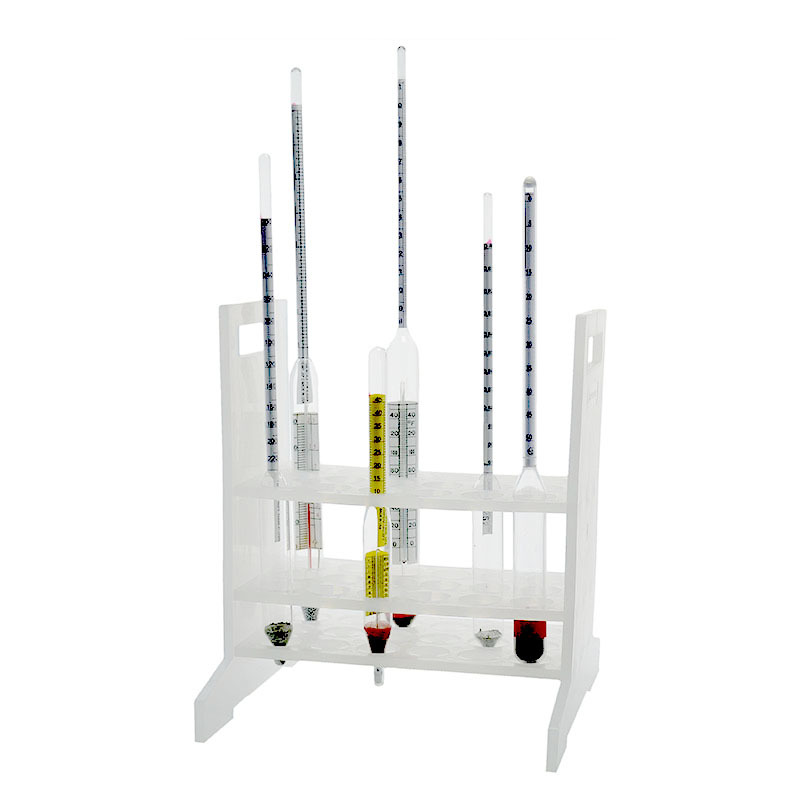 Protect fragile glass hydrometers by storing them in this18- place polypropylene rack. The middle and top plates have 25mm (1”) diameter holes. 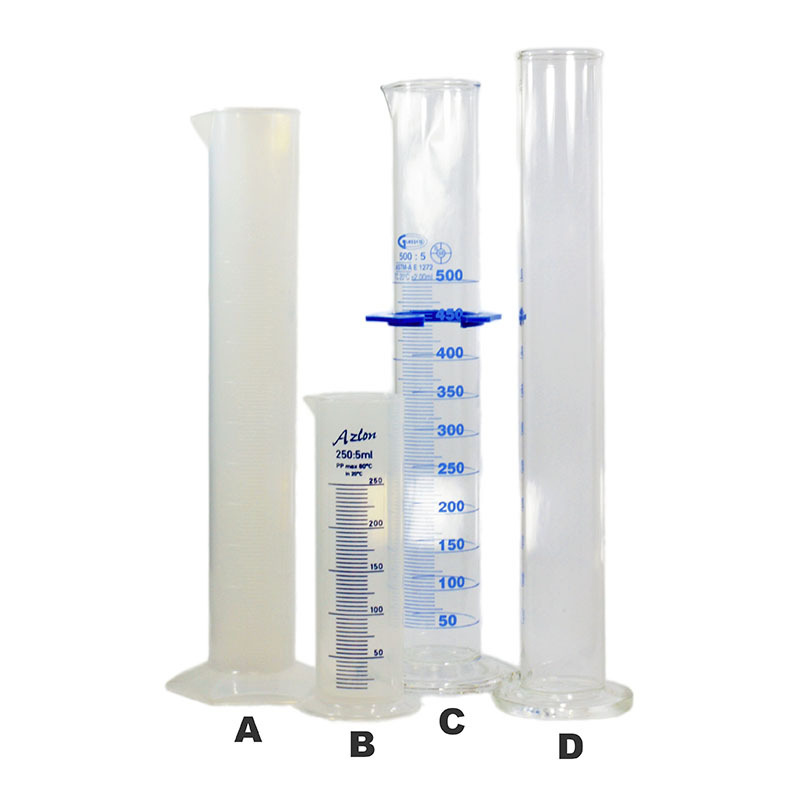 The bottom plates 44mm (1¾”) high and has wells tapering from 25mm to 9mm (1 to 3/8”) to hold the hydrometer bulb. 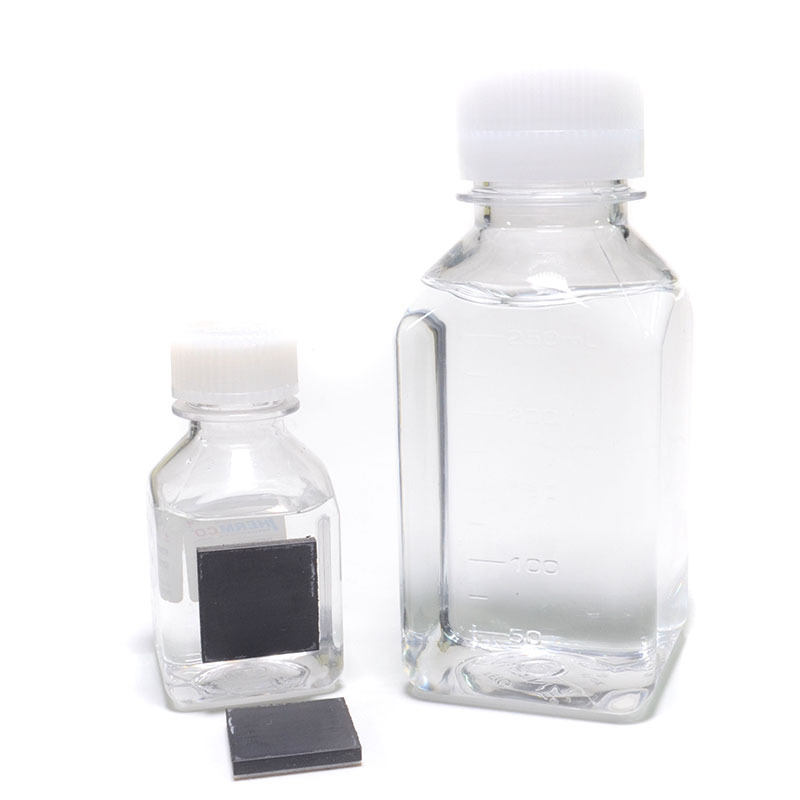 The base is 210 x 216mm (8¼” X 8½”) for tip-proof stability. 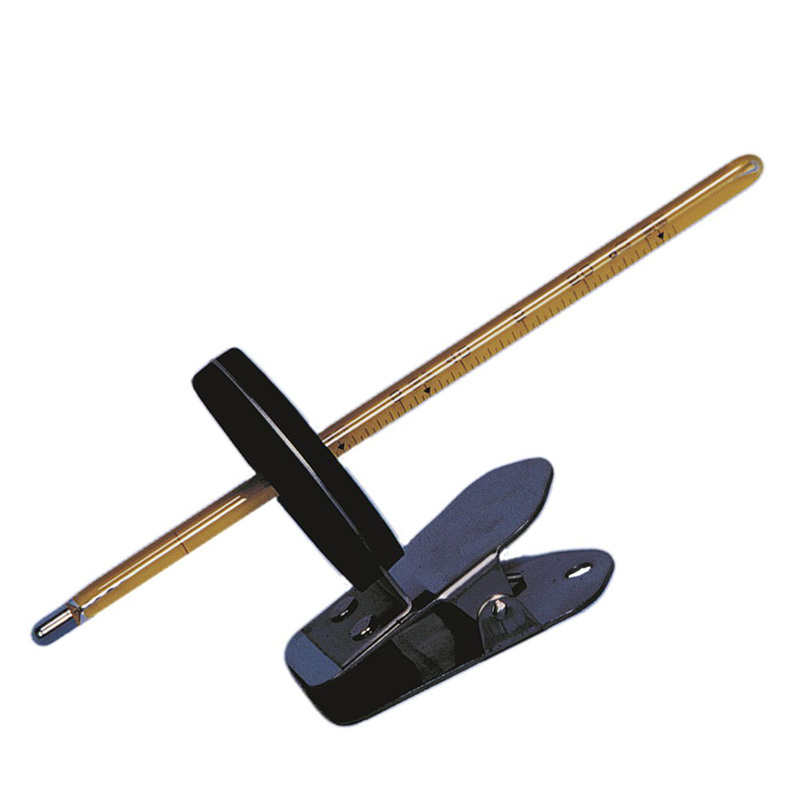 Overall height 251mm (9⅞”) with handles. Steam autoclavable at 121°C (250°F). The polypropylene cylinders feature permanently molded graduations that will not fade after repeated autoclaving. 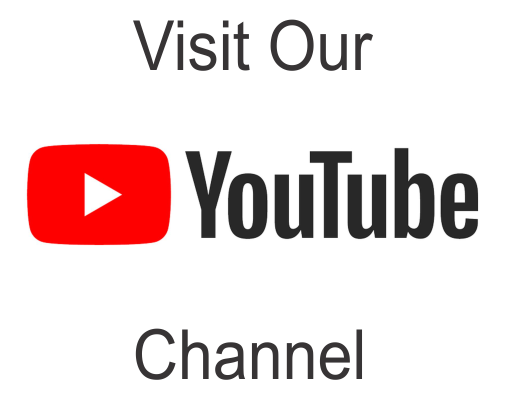 Meets stringent international quality criteria according to ISO 6706. Our UCY500BA is a strong, accurate glass Measuring Cylinder, graduate in durable blue enamel with spout & hexagonal bumper guards.